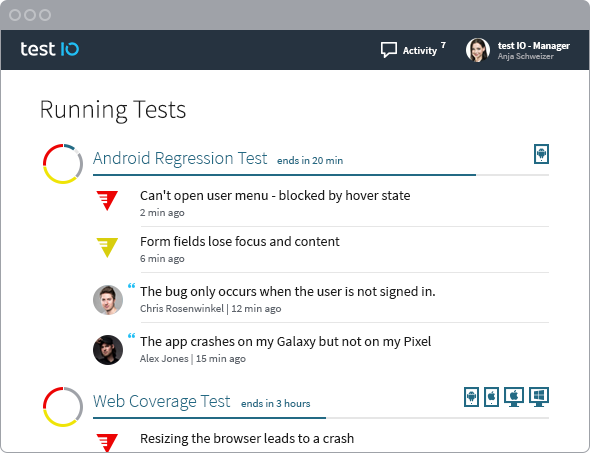 The first test of your app is free, so why wait? We've combined the creativity of human testers with technology to focus their efforts. The result is a powerful platform that harnesses human intelligence to test your apps under real world conditions. It has never been easier to discover functional issues, get unbiased UX insight, and know when you're ready to ship! Make sure that your software works everywhere. Run your web or mobile app on a variety of real devices and under real-world conditions. 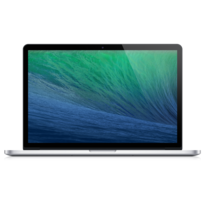 Select the devices you need based on type, manufacturer, operating system, and browser. Real Devices. Real People. Real Fast. No more waiting: receive thorough reports with video reproductions in as soon as an hour. Real-world experience: our testers have exactly the devices, OS's, and browsers you need. Know for sure: skilled testers ensure your app, website, or SaaS platform works as your customers expect, every release.